Win a free copy of “Seidman” today at 5pm EST! If you follow Harmony Ink Press on Twitter ( https://twitter.com/HarmonyInkPress ), they’ll be giving away a free copy of my first YA novel about Vikings and sorcery, Seidman, tonight at 5pm EST! Make sure to grab it quickly—the tweetaway only lasts 20 minutes! In Viking Age Iceland, where boys are expected to grow into strong farmers and skilled warriors, there is little place for a sickly twelve-year-old boy like Kol until he catches the eye of a seið-woman—a sorceress—and becomes her apprentice. Kol travels to the sorceress’s home, where her grandson, Thorbrand, takes Kol under his wing. Before long Kol discovers something else about himself that is different—something else that sets him apart as unmanly: Kol has fallen in love with another boy. But the world is changing in ways that threaten those who practice the ancient arts. As Kol’s new life takes him across the Norse lands, he finds that a new religion is sweeping through them, and King Olaf Tryggvason is hunting down and executing sorcerers. 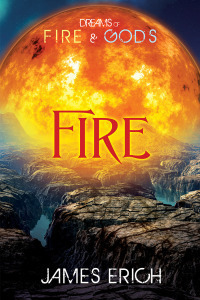 When a decades-old feud forces Thorbrand to choose between Kol and his duty to his kinsman, Kol finds himself cast adrift with only the cryptic messages of an ancient goddess to guide him to his destiny—and possibly to his death. Startled, Kol pulled his hand back. “I just wanted to see you,” he said, his voice sounding pathetic even to his own ears. “I know what you want,” Thorbrand said harshly. “But you’re out of your mind if you think I’m going to….” They had never given a word to what they’d done together in the bathhouse, and he balked at naming it now. Stung, Kol turned and slipped away. But he didn’t return to his bed—he couldn’t. He wasn’t sure what to do, but his throat was constricted and his eyes threatened to brim over. The last thing he needed was for the others to wake up and catch him sobbing. He grabbed his cloak and threw it over his naked shoulders. Then, trying not to make any noise, he opened the door of the longhouse just a crack and slipped outside. The night air was bitter cold and the ground nearly frozen. He hadn’t thought to put his boots on, and it wasn’t long before his bare feet grew numb. He clutched the cloak to his body, shivering as an icy drizzle fell upon him. But it was too late to turn back. The tears had overflowed and he couldn’t stop them from streaming down his face. The sensible thing might be to go to the bathhouse. At least it would be warm there. But it would just remind him of Alfdis’s death and the fact that Thorbrand wasn’t with him. So instead, he climbed a small hill not far from the longhouse and sat down on the damp grass. At least this way he could tuck his feet into the folds of his cloak while he tried to make sense of things. Thorbrand was chieftain now. And he was being forced to take on immense responsibilities. Kol understood that. But it seemed more had changed than he’d realized. He’d thought Thorbrand might be missing him, needing him. That he would welcome Kol holding him, if just for a short time. But…. “You idiot,” Thorbrand’s irritated voice cut through his gloomy thoughts. Startled, Kol looked up to see a shadowy figure climbing the hill toward him. Unlike Kol, Thorbrand had had the sense to at least throw on a tunic and some boots, though he’d left his cloak behind. “Nothing,” Kol replied, struggling to keep his voice even. This was too much. It was bad enough for Thorbrand to shove him away, but to come after Kol just to make fun of him! Kol wanted to lash out at him, but before he could do or say anything, Thorbrand had pulled him close and was kissing him hard on the mouth. And it was all there, in that kiss—everything Kol feared had gone away. All the longing; all the tenderness. He led Kol to the bathhouse, where they stayed until the lightening sky forced them to return to the longhouse. Fortunately, nobody had awoken yet, and they were able to sneak back to their separate beds without being discovered. 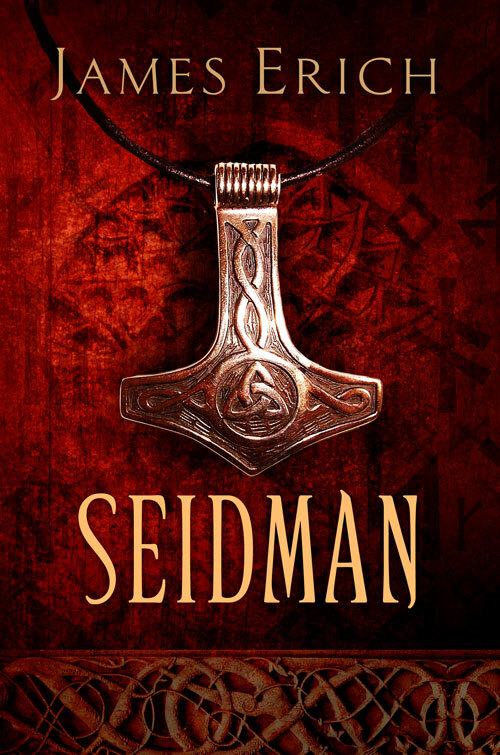 New 5-heart review of “Seidman” on MM Good Book Reviews! “I absolutely loved Kol. He was like the Viking Harry Potter of his era. He was very shy, but incredibly brave. Even when death was staring him in the face he stood stall and strong. Jessica Chambers over at Rainbow Book Reviews has written a wonderful review for Seidman! The thing that struck me as particularly good about this novel was how we get to see Kol and Thorbrand grow up, following their progress from carefree boys interested only in each other, to mature young men with their own responsibilities. Though the story does have a strong fantasy element, the developing relationship between the heroes is incredibly realistic, taking into account the attitudes towards homosexuality at the time, and is in fact one of the most poignant I’ve come across in a while. How to Insult Your Friends Like a Viking! One of the criticisms I’ve received about Seidman is that the dialog between Kol and Thorbrand felt a little too “modern.” This is a perfectly valid criticism, if it brings the reader out of the story. But it was a deliberate artistic choice on my part, so I’d like to explain my reasoning. I’ve read a bunch of books on Vikings, in which everyone speaks like Conan the Barbarian or a character from The Lord of the Rings — rather stilted and formal, and using the exclamation “Fool!” quite a bit. Now, I’m a big fan of Conan and LOTR, but I don’t think people ever really talked that way. Like the fact that all films about Vikings are scored with heavy kettle drums, low brass that didn’t even exist before the Renaissance and chorsuses of men shouting, “Huh!”, this is simply a modern shorthand for historical dialog. But in reality, Kol would not say “dullard” or “fool” or “dummy” in any context. He doesn’t speak English. He would say fífl, which translates to…wait for it…”dullard” or “simpleton” or “dummy”. Maybe “idiot.” But to Kol and Thorbrand, the way they speak to one another would be perfectly natural and easy to their ears. Teenagers, no matter what the time period, don’t speak formally to one another. (Well, unless they’re raised in high society, perhaps.) So why translate it formally? Why not just make it colloquial and informal, as it would sound to them? That was my reasoning for making Kol and Thorbrand talk the way they do in the novel. *NOTE: vagr (“outlaw”) also means “wolf”. The Norse weren’t fond of wolves. It was also popular to call people after various animals, such as dogs or sows, or to say that they were the sons or daughters of these animals. But beware! If you start throwing these insults around in Viking Age Scandinavia, you’d better hope the button on your time portal wristband isn’t broken!